Now that summer is here and barbecue season is upon us (weather permitting), we’ve been trying some new beers from Krombacher. Krombacher is a beer with an impressive heritage. 60 glasses of Krombacher are drunk every second in Germany and it has been produced by the biggest family owned and operated brewery in Europe since 1803. 55 master brewers are involved in its production and the beers have 100% natural ingredients including the finest two row summer barley, Siegel hops from Hallertau and a specially cultivated yeast. 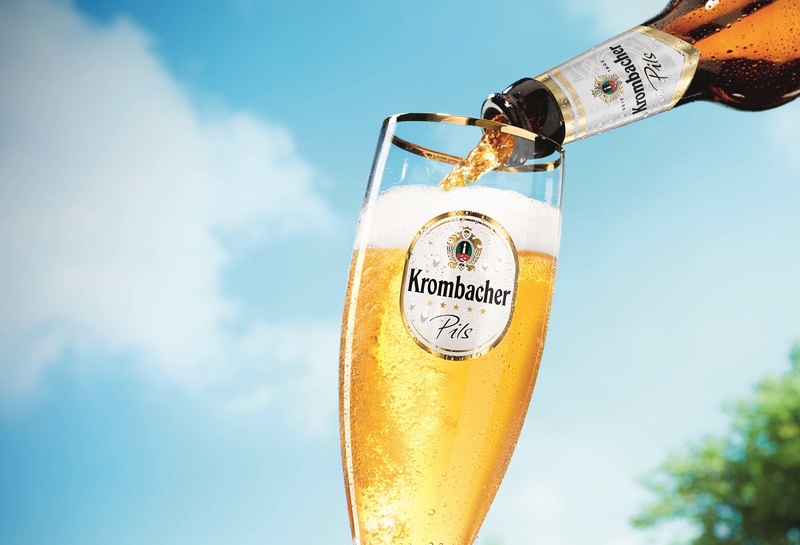 Krombacher beers are made with the local Felsquellwasser® found in 48 wells within 3 km of the brewery and the range includes the Pils, Hell, Dark, Weizen, Radler, Low Alcoholic Pils and low alcohol Weizen. We tried three beers from the range – the Pils, the Dark and the Weizen (wheat beer). The Pils is light and refreshing with a delicate taste whilst the Weizen has a delicate wheat flavour with no cloying after-taste. It’s one of the most subtle wheat beers I’ve tried. My favourite is the Dark, smooth, sweet, malty and almost dark chocolatey and we added it to a spicy beef curry for an extra kick. Mat kept everything simple with this dish so it would be suitable for a family tea but you could obviously ramp up the taste with more spice – or more beer. The Krombacher Dark added an extra depth to the curry with a slight hint of treacly sweetness. 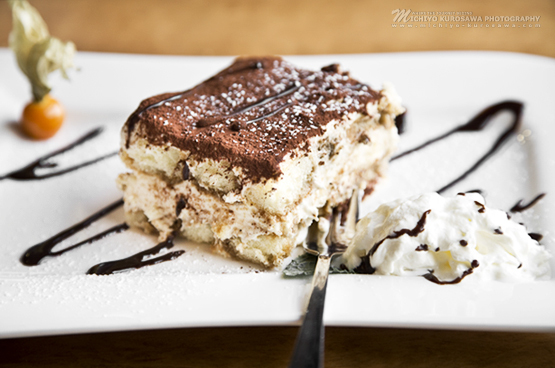 Or, if you’ve a sweet tooth, what not try a Krombacher Tiramisu? The dark sweetness of the beer is a great substitute for the coffee or liqueurs in this recipe. Lay the sponge fingers in a flat 1 litre serving dish and pour over 200 ml Krombacher Dark Beer. Leave them to soak. In a separate dish, whip half the cream, half the mascarpone, 4 tbsp chocolate and 1 tbsp icing sugar until the mixture forms soft peaks. In another bowl, whip the remaining cream, mascarpone, beer and icing sugar to soft peaks. Remove the sponge fingers from the dish. Spoon the chocolate cream mixture into the dish then layer the sponge fingers on top, followed by the remaining Dark Beer / Cream mix. Dust with the remaining chocolate to serve. Lest you’re wondering which beer goes best with what, here’s a brief food matching guide to allow you to explore Krombacher Beer fully! There’s a great giveaway too, at the end of this post. Krombacher’s Pils is light and golden, with a thin ribbon of sweetness running through a crisp, dry body which crackles with peppery spice and bitterness. It’s a great beer for barbecues and goes best with juicy burgers and steaks. Pilsner is a very versatile beer which goes as well with Thai and other Asian foods as it does with subtle dishes such as shellfish. Whilst it’s great with burgers and perfect with pizza, it can also be an interesting accompaniment to light desserts. It also works well with a cheese sarnie, or how about a combination of mature Cheddar with apple and a good British ham or a baked Brie with cranberries and Walnuts? This is another golden lager but with fewer bitter and spicy hop notes. A delicate beer, this one goes well with lighter foods from the grill such as vegetable kebabs or chicken. The prominent treacly sweetness of this beer makes it an ideal complement to desserts such as grilled bananas and chocolate, but it also works well with meats slathered with sweet, sticky coatings, such as spare ribs with BBQ sauce. The best complement for this one’s crisp tangy notes is the great British banger (or the Bavarian weisswurst – if you’re close to a well stocked Deli). The banana and clover aroma of this particular beer works well with pork. Wheat beers also work well with Mexican Food such as cheesy quesadillas, spicy sweetcorn and chunky guacamole, or brunch dishes such as eggs Benedict, ham and cheese omelettes, sausages, gammon or ham, perhaps with a sweet or spicy glaze. We used the Krombacher Dark for our curry but if you want something lighter, you can match your wheat beer with a chicken curry or even a vegetable curry. Krombacher is available via Majestic www.majestic.co.uk, www.beersofeurope.co.uk, and www.noblegreenwines.co.uk and it’s highly praised non and low alcohol range is available from www.drydrinker.com. If you would like to try a tasting box of Krombacher beers comprising 2 Pils, 2 Dark and 2 non alcoholic beers, then enter my giveaway via the Rafflecopter below in the usual manner. Terms and conditions apply which you can view on my competitions page. UK entrants only and you must be over 18 years of age to enter. The giveaway ends at 11:59 pm on Sunday 2nd July. Good luck and let’s keep our fingers crossed for a ‘barbecue summer’ at last! "Explaining Period Pain To Your Tween"